We all need a little sunshine in our lives and when we spotted these cute bags we knew that you would all love them too. This bag features flowers, applique, bright fabrics, pieced panels, scraps of fabrics and quilting – what’s not to love! Padded with fleece for softness and body, and to give dimension to the quilting, these applique quilted bags are ideal to practice or learn new sewing skills. Ever useful, they make nice gifts too. 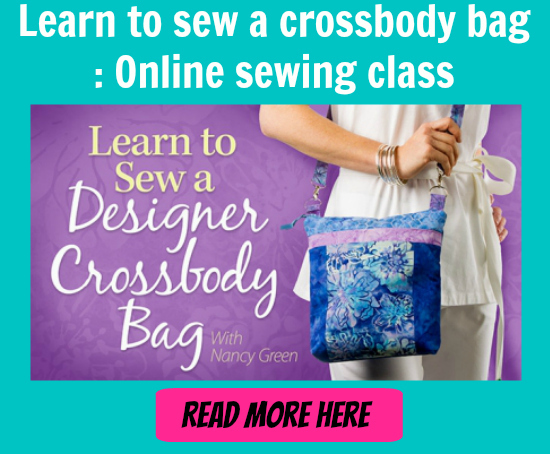 Great for sewing lessons for your neighbour, niece, granddaughter etc – get your machine started and sew one of these today. There’s a great free step by step photo tutorial for you to follow and enjoy.